Do you have a Rollepaal service contract yet? Service is one of our fundamental pillars. In our opinion, buying any Rollepaal machine is just the beginning of a long-term relationship. We are happy to offer our service and support by providing sound advice and skilled engineers, to make sure you get the most out of your Rollepaal equipment. To make sure that you get the most out of our service it is possible to combine the above mentioned contracts. 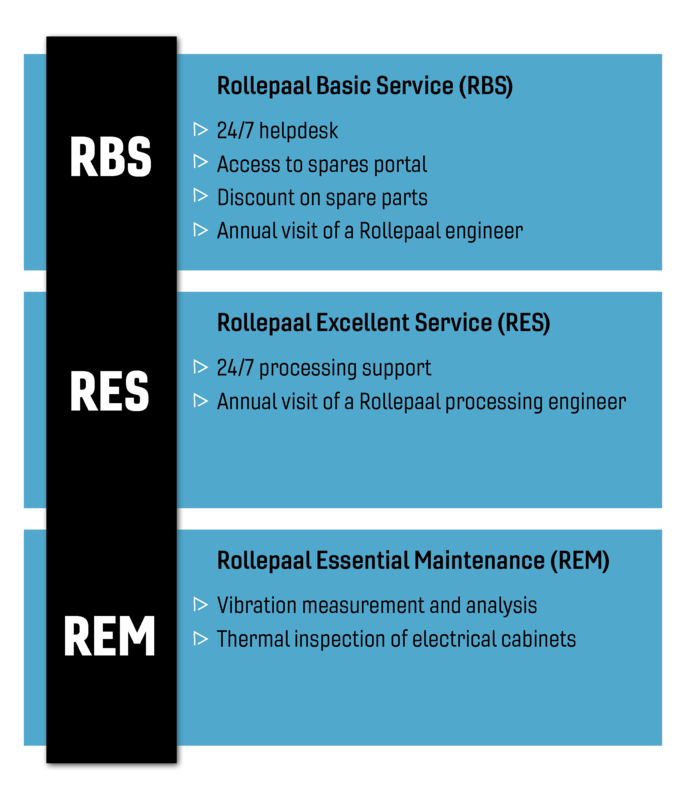 We would therefore be happy to put together a customized service contract that best suits your Rollepaal equipment and wishes. The raw materials are the largest cost component in the manufacturing of plastic pipes. About 80% of the manufacturingcosts consist of the material usage. This fact makes it worthwhile to reduce overweight and/ or increace CaCo3 content, while keeping the pipe in the required specifications. We offer several types of cost saving solutions to control the quality of the pipe during production. These solutions are compatible with all existing brands of equipment.